If you are hoping to have parts cut quickly in astounding 3D shapes, Metal Fab Products Inc. is the company to trust. We are able to provide unparalleled water jetting services to our Odessa, TX and Midland, TX customers thanks to the Dynamic Waterjet® XD. Featuring some of the most precise contouring available for water jet systems, the Dynamic Waterjet® XD allows us to cut a wide range of shapes and parts 2-4 times faster than the competition. Learn more about the Dynamic Waterjet® XD and watch it in action! At Metal Fab Products Inc., we make good use of our Dynamic Waterjet® XD. We take advantage of every capability of this advanced piece of machinery to produce more accurate parts more quickly for you. We don’t need to waste time calibrating and troubleshooting; the system comes with a comprehensive database of tested materials. All we need to do is input the design, material, and thickness, and each part comes out just right the first time. When you combine the capabilities of this machinery with our dedication to quality and proven technique, what you get are better results, faster. We can fulfill your order just when you need it and give you parts that are made precisely to specifications. 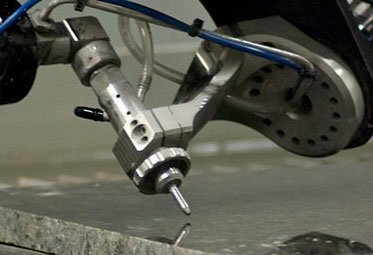 We invite you to learn more about our water jet capabilities and how they can make the difference for your business. Call us today or request a free estimate to get started.